Now you can view the colleagues of the lead you are looking at. We added support for companies, in the sense that leads are grouped for an easy overview in the "Colleagues"-tab in the lead view. Viewing colleagues to a lead in myphoner. To enable the colleagues feature, all you have to do is select the field in your list that holds the company name. 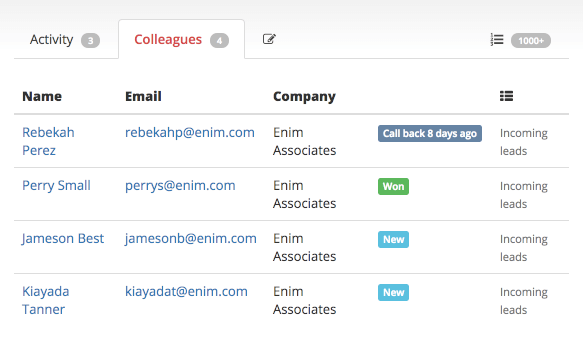 Then myphoner will automatically detect and show colleages from the same company. In addition, leads from the same company will not be marked as duplicates, unless they have the same name.